I find the dialogue in most chick flicks to be fluff, and outside of a feather pillow or a lightly-toasted marshmallow, I don’t have much use for fluff. It was a million tiny little things that, when you added them all up, meant we were supposed to be together… and I knew it. I knew it the very first time we touched. It was like coming home… only to no home I’d ever known…. 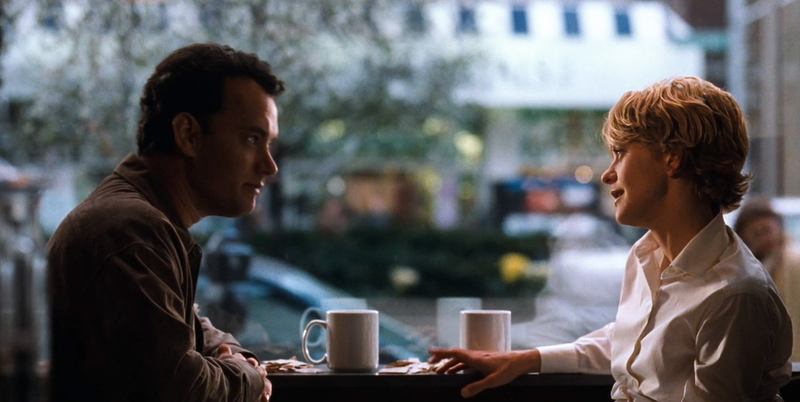 I would have asked for your number, and I wouldn’t have been able to wait twenty-four hours before calling you and saying, “Hey, how about… oh, how about some coffee or, you know, drinks or dinner or a movie… for as long as we both shall live?” And you and I would have never been at war. And the only thing we’d argue about would be which video to rent on Saturday night. I love that you get cold when it’s 71 degrees out. I love that it takes you an hour and a half to order a sandwich. I love that you get a little crinkle above your nose when you’re looking at me like I’m nuts. I love that after I spend the day with you, I can still smell you on my clothes. And I love that you are the last person I want to talk to before I go to sleep at night. And it’s not because I’m lonely, and it’s not because it’s New Year’s Eve. I came here tonight because when you realize you want to spend the rest of your life with somebody, you want the rest of your life to start as soon as possible. I’ve been thinking about you. Last night I went to meet you, and you weren’t there. I wish I knew why. I felt so foolish…. Anyway I so wanted to talk to you. I hope you have a good reason for not being there. You don’t seem like the kind of person who’d do something like that. The odd thing about this form of communication is that we’re more likely to talk about nothing than something. But I just want to say that all this nothing has meant more to me than so many somethings. People are always saying that change is a good thing. But all they’re really saying is that something you didn’t want to happen at all… has happened. Someday, it’ll be just a memory. But the truth is… I’m heartbroken. I feel as if a part of me has died … and no one can ever make it right. I’m gonna get out of bed every morning… and breathe in and out all day long. Then, after a while I won’t have to remind myself to get out of bed every morning and breathe in and out… and,then after a while, I won’t have to think about how I had it great and perfect for a while. Do you ever feel you’ve become the worst version of yourself? That a Pandora’s box of all the secret, hateful parts – your arrogance, your spite, your condescension – has sprung open? Sometimes I wonder about my life. I lead a small life – well, valuable, but small – and sometimes I wonder, do I do it because I like it, or because I haven’t been brave? So much of what I see reminds me of something I read in a book, when shouldn’t it be the other way around? I don’t really want an answer. I just want to send this cosmic question out into the void. So, good night, dear void. And then the dream breaks into a million tiny pieces. The dream dies. Which leaves you with a choice: you can settle for reality, or you can go off, like a fool, and dream another dream. 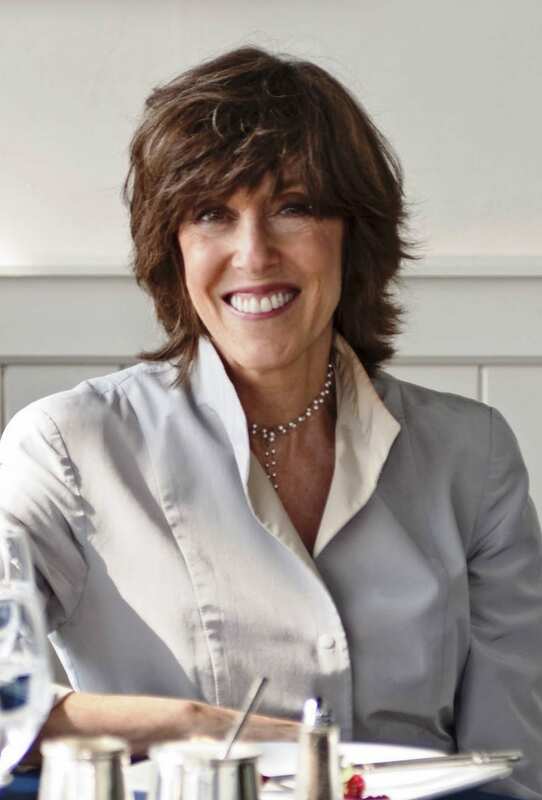 Nora Ephron would have been 75 today had cancer not stolen her from us. She was witty and wonderful. She made the preposterous seem plausible and had the gift of making the horrible truth hysterical. And she is the writer I most identify with. Nora Ephron, you were a treasure, and you are missed. She sat on the back row of the bleachers wearing a brown plaid A-line jumper and ribbed white turtleneck, swinging her feet back and forth and wondering why they were HERE on this show today instead of in Kindergarten melting leaves & crayon bits in-between pieces wax paper, or dancing around the room to “Chim Chim Cheree” like yesterday. “Who is Captain Spaceman anyway?” she wondered to herself, looking at all the rows of lights hanging from the high ceiling of the television studio. Oh, well, at least the man in the giant blue leotard says our time is almost up, he just needs to draw a name for the prize. Sure, a prize would be nice, but not if she had to walk down in front of everybody to get it. No thanks. Her little wallflower self would rather just sit here watching her feet swing than be made a spectacle of, thank you very much. Wait. What did he say? T he giveaway is a Twenty Thousand Leagues Under the Sea game? Icky Yucky Ooky. She may only be five years old, but she’s smart enough to know that Jules Verne, and for that matter, all Science Fiction stuff is for boys. And she did NOT want boy stuff. No thank you very much. Besides, surely they wouldn’t call out a girl’s name for a boy’s toy. That would just be mortifying – like that awkward moment when the boy in front of you toots and then looks at you so everybody else will think it WAS you. She’s rather die. But she told herself there was nothing to worry about. Only a 1 in 30 chance even if they DID include the girls, “Which they wouldn’t,” she thought just as they announced … HER name. WHAT? NOOOOO! And that, boys and girls, was the beginning of my lucky streak. I have gone on to win tickets and gift certificates to nice restaurants and books and videos and essay competitions and savings bonds and a video player and $200 in a photo contest and numerous cds, weekend getaways, a smart tv, and if you have EVER been to a “sales party” with me, be it Pampered Chef or Creative Memories or Tupperware or whatever, you know my name is ALWAYS the one that gets drawn for the door prize. Always. Some decades later, only a few petals remain from my wallflower days. I have since learned to embrace Jules Verne, giant squids, AND feminism, no thanks to that stupid boy board game. Today the sun is shining, my one-year-old blog is flourishing, and no fewer than a dozen of my stories and articles have been featured or purchased by BlogHer, Experts Among Us, and others. I feel very VERY lucky. And since I just got my vanilla latte free, I guess my good fortune still holds. *The little dude next to me was my first “boyfriend” despite the fact that I was clearly taller. But he gave me a bracelet. Gotta love a guy who gives you jewelry. And it’s quite possible the girl next to me was Cindy Brady. We are very much alike, this handbag and I: practical, organized, oversized, and somewhat amusing (reference the lime green lining). She has been a faithful companion. She supported me without fail, and we have, for all practical purposes, been inseparable. Regrettably, my $40 faux leather partner had a lifespan rivaling the career of an American Idol contestant or the shelf-life of an incandescent light bulb. “For as long as we both shall live” turned out to be about 32 months, thus I found myself in mourning. After her untimely demise, I must admit to a brief rebound relationship with an adorable little buckle bag, but at only 5” tall, she turned out to be much too shallow for any kind of meaningful relationship. I’m also ashamed to admit to a lust-based one-night-stand with a flashy metallic copper number. However, she proved to be nothing more than a vacuous tote, a hollow single-compartment chasm in which I could find nothing. I’m happy to announce my grieving phase has finally ended. I am once again in LOVE. My new purse is practical – large enough to hold my grown-up coloring book, but small enough to wedge into the console between the front seats of Eddie van Honda. She is designed for organization – compartments with magnetic snaps, a separate pouch for the progressive trifocals I never wear, and a small zippered pocket so I always know where to locate my elusive keys. Most importantly, my new bag is a bit whimsical – ivory leather with silver studded fringe. She’s nearly perfect. I love her. I’m sure I could draw some sort of spiritual analogy here about how we were all created for a specific purpose, or about the wisdom of choosing good companions, or about the how our physical life is just transient, but, after all…it’s just a purse. So I typed, “To who?” but I couldn’t do it. Before I hit SEND, my Zero Tolerance Approach to Bad Grammar required me to correct the blunder, so I changed it to“To whom?” and pressed the green button. Her next text stated flatly, “DANGIT” and then she proceeded to curse me with extensive PG-rated cursing while I laughed my goofy head off. Apparently I ruined her joke. Come on, it’s not like she didn’t know.